How do recent changes to domicile rules affect IHT? 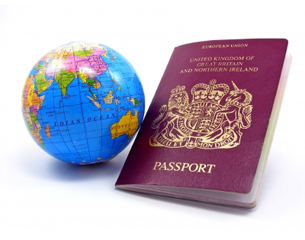 From 6 April 2013, transfers from a UK domicile to a non-UK domicile spouse are exempt up to £325,000. And a non-UK domicile can now elect to be treated as domiciled in the UK for IHT purposes. Once an election is made, it cannot be revoked; although it is possible for the election to cease to have effect. Every individual must have a domicile at all times. An individual cannot have more than one domicile at the same time for the same purpose and an existing domicile is presumed to continue until it is proven that a new domicile has been acquired. The burden of proving a change of domicile rests with the party that asserts the change (the taxpayer or HMRC). There are three categories of domicile. If a child’s parents were married, the child acquires a domicile of origin from the father. If the parents were not married or the mother was widowed, the child will take domicile from the mother. Under UK law a domicile of origin is never lost, other than by adoption. A domicile of origin can be ‘temporarily suspended’ by acquiring a domicile of dependence or choice, but it remains in the background ready to fill any gap that would otherwise arise. This occurs where the law attributes a domicile to an individual who either lacks legal capacity or is legally dependent upon someone else. Dependents comprise, children, individuals lacking sufficient mental capacity and married women prior to January 1974 where the common law position was that a married woman acquired a domicile of dependence from her husband and her domicile therefore changed with his. This can only be acquired where an individual is both resident within a territory and intends to reside there indefinitely. Residency is clear cut, intention is not, and no single act or circumstance will determine it. All facts may be considered. If the client has an intention to return to the domicile of origin on a clearly foreseen and anticipated contingency, then there will be no intention to remain indefinitely. If the contingency is vague or sufficiently conditional, an intention to remain indefinitely could exist and a domicile of choice be acquired. In addition, it is possible for an individual to be ‘deemed’ to be domiciled in the UK for IHT purposes only, while being domiciled under common law in a territory outside the UK. This can arise if there is the ‘three-year’ rule applying to those emigrating from the UK. For example, Jenny, who has an English domicile retires to Spain. She emigrates and takes a Spanish domicile of choice on 31 January 2010. She dies on 1 January 2013 still in Spain. Under the ‘three year rule’ she is deemed domiciled in the UK at her death and her worldwide estate is chargeable to IHT. Or, for long-term UK residents, there is the ‘17 out of 20 rule’. Here, the taxpayer must have been income tax resident in the UK in not less than 17 out of the last 20 years. Note that an exception to this rule is for transfers on death where the deceased’s domicile was Italy, France, India or Pakistan. Without the deemed domicile rules, non-UK domiciled clients could simply hold offshore property in the knowledge that such assets could remain excluded property for IHT purposes even in the face of long term UK residence. Non–UK domiciled clients with an impending deemed domicile ‘problem’ may wish to consider an excluded property trust. This simply requires two tests to be satisfied, that the settlor must be non-UK domiciled at the time the settlement is made (or at the date of any additions, if the added property is material) and the property in question must be situated outside the UK (for example, offshore bond) at the date of the charge to IHT. Despite a recent Court of Appeal decision which found there was no liability for execution-only business, advisers should still be wary of operating on this basis.